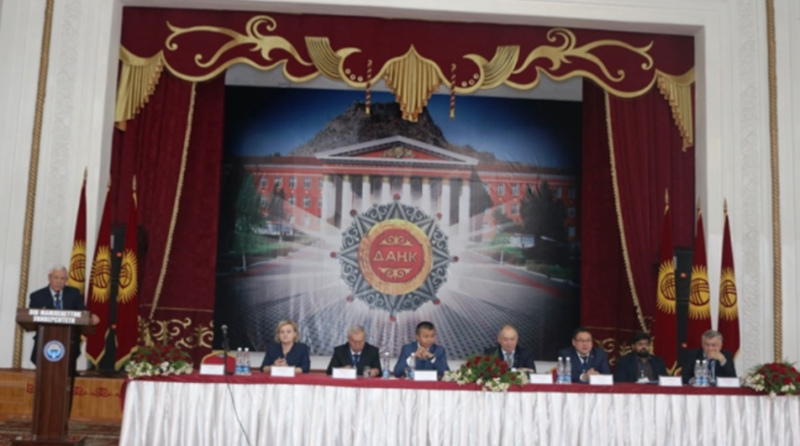 A scientific and practical conference is held in Osh State University devoted to the problems of the state of diseases in the Ferghana Valley, the Tien Shan and Pamir territories in the aspect of their epidemiology, tatogenesis and sanogenesis under conditions of climatic changes, organized by the Osh State University together with the Andijan State Medical Institute. The Vice-Rector for Academic Affairs of Osh State University, Abazbek uulu Rasul, spoke with a welcoming speech and wished successful work. Scientists from different countries take part in the work of the scientific forum. For example, from Russia, Anatoly Efremov from Turkmenistan, Professor Khotam Tursunov from Uzbekistan, Professor Zhayaraghuram from India, Professor Tsutomu Hiranasan from Japan, Professor Kieshbek Yrysov from the Kyrgyz Medical Academy and a number of academic and university specialists from the country. Interested and wide discussion on this issue took place at the sessions of the sections. The guests visited the medical faculties of the university, got acquainted with the material and technical base, clinics, laboratories.